Look around you. How many people do you see on their phones or have their phone out on the desk next to them? As humans, one of our basic needs is the feeling of being connected: being a part of something, being heard and being valued. And with today's smartphones no longer being just telephones but small powerful mobile computers they have allowed us to do just that. Having infiltrated our lives like no other medium, these small portable devices are capable of many different tasks and have become completely indispensable to many. They are game changers, changing consumer behaviour and, as businesses, to thrive we must follow the new way of doing things. The new mobile landscape “It’s official: Google says there are more searches now on mobile devices than on desktop computers.” Back in May 2015, the company officially confirms what many have been anticipating for years and now in 2016, it isn’t just web browsing behaviour that has changed. 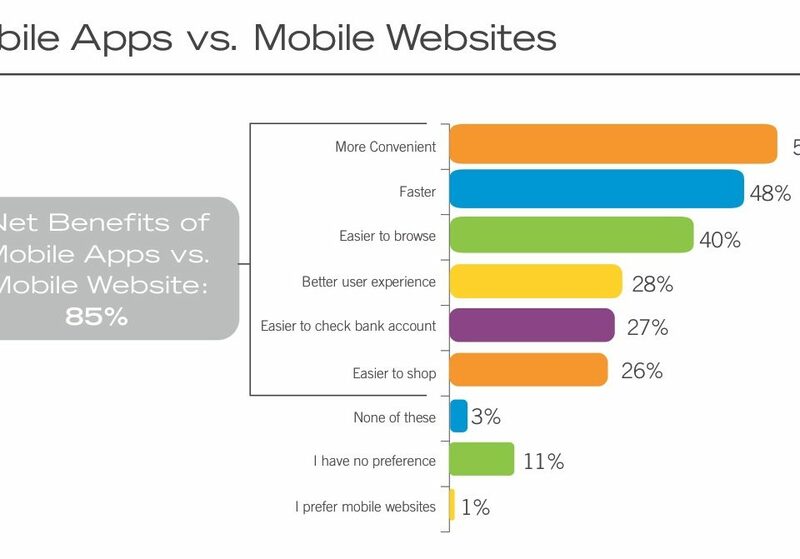 In a recent survey 85% of people preferred to use the company's app over their website - even a mobile responsive one. As you can see from the below graph, this comes down to being more convenient, easier to use, speed of finding (or ordering) what they are looking for and an overall better experience. With the rise of mobile commerce, which is already worth over $41 billion USD and is predicted to double over the next 5 years, reaching out and connecting with your consumers is imperative to the successful expansion of your business, whether you are a pro-shop, large retailer or golf club. 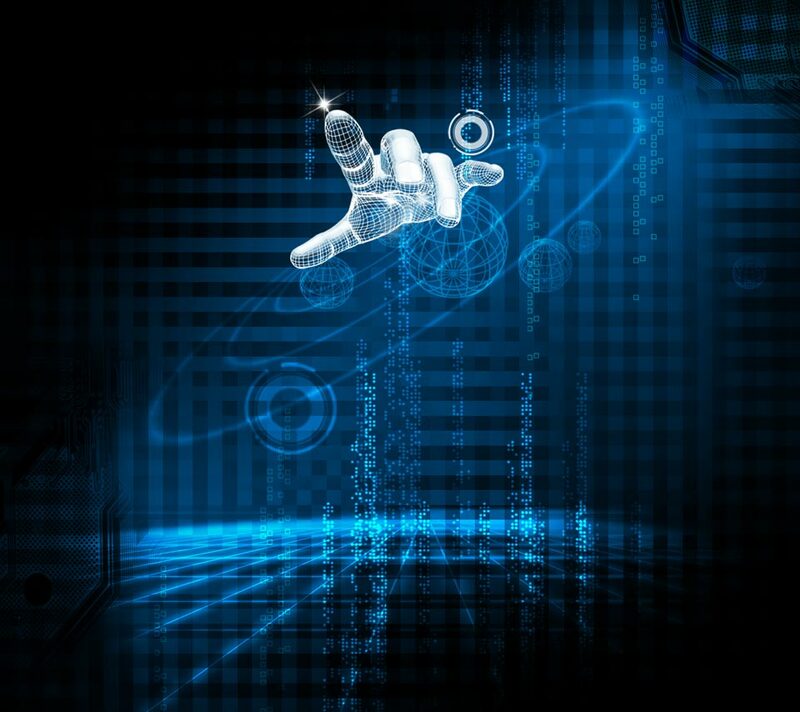 Reaching out to your prospects and customers can be done in a number of different ways and just like using both a website (which is excellent for finding new customers) and your own mobile app (which excels at repeat visits and purchases), utilising apps that are already out there and having your own custom app creates a far greater reach than using just one method alone. “Hijacking” other apps Here we are actually talking about social media. All of the giants have their own app developed for mobile use because they already know the above statistic and have used it to their own advantage. For the golf industry, Facebook has been one of the bigger successes with their ability to do precision targeted advertising. Golf Business Monitor conducted a study which showed that an active target campaign with Facebook had over twice the hit rate per month than the club’s website and 45% higher than an email campaign from their database. 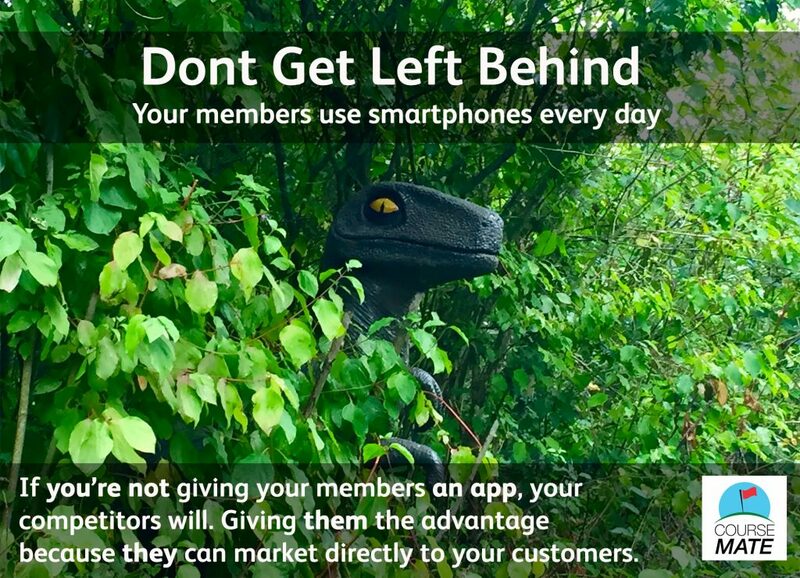 Retailer or club, having your own app has great advantages over websites - you can communicate directly with your end users, even without the app being open and the advantages do not stop there, you can collect current and up-to-date user information. Many apps have a onetime login that obtains, at the very minimum, the user’s name and email to aid all your sales and marketing in all other aspects of your business. This data is current and relevant. No more generic or false emails or advertising to people who have no interest in your club or outlet. 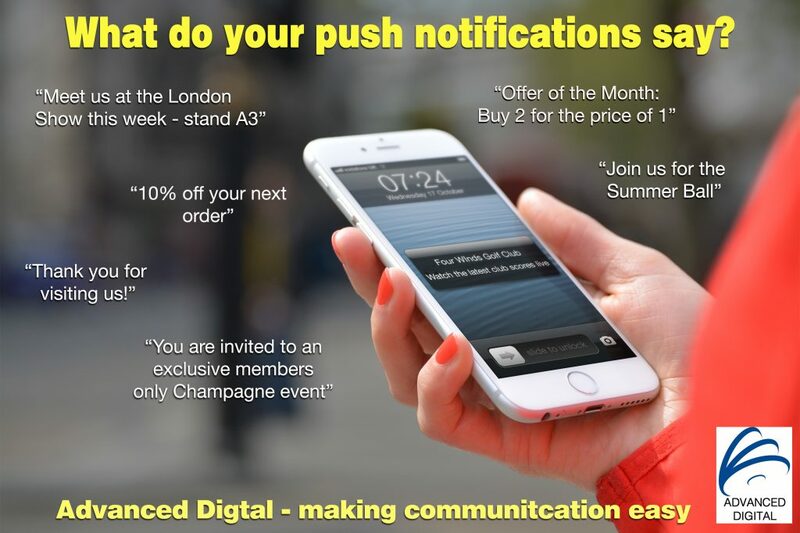 Use push notifications to invite them in. People like to feel included, invited and part of the process. Never dictate, enrol instead. Most people will find it hard to resist a simple, "Would you like to join us? We'd value you input." this can be used in a whole variety of ways from testing out a new set of drivers to an open day or the launch of a new simulator. 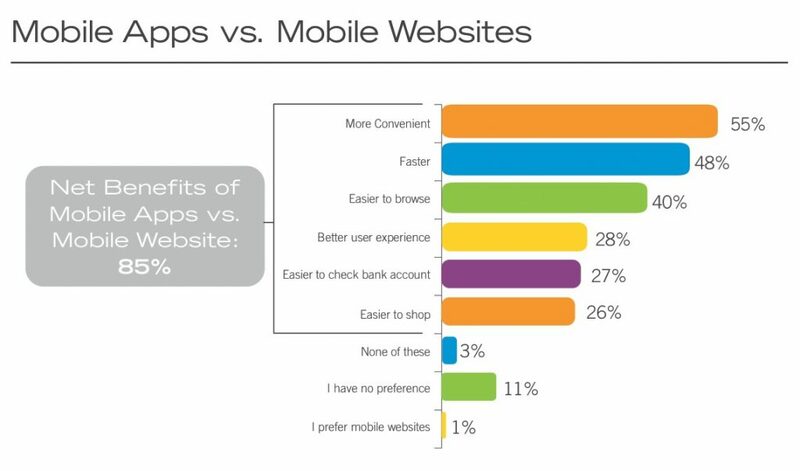 With 55% saying it is more convenient and 26% saying that it is easier to shop using an app over the website, your business can gain increased sales from the promotion of the pro-shop and other areas of your business. With its flexible nature you can easily showcase different areas of your business, for example, a golf club can promote the pro-shop, weddings, spa, etc, or just concentrate on the one area. The below illustration is taken from screen shots of a native app and an app using a web view (which is the same view as web browsing). You can clearly see the advantage of promoting and selling your services via your own app. 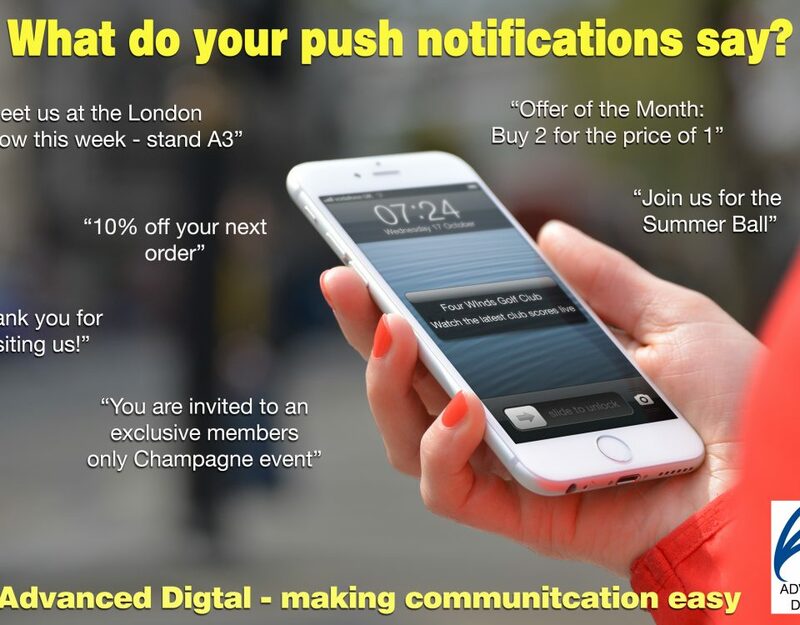 It is not just generic notifications to all users, apps have the ability to be able to send direct messages when your customer is the area. This is perfect for voucher schemes and for loyalty cards, enticing in the consumer in when they might have just walked past. Just like Google, you can track all your pages on an app so you can see the users’ preferences and the app will go that one step further. Big retail businesses, like Tesco, are using the mobile’s ability to pinpoint where you are in their store. For you, this can translate in how many visits your customer makes to your premise or what areas of the store/club are being used most. In conclusion, when features and functions are thought out carefully and used appropriately, mobile applications can be superb business tools for all areas golf management and retail sales. Surely it is time for our industry to embrace this technology?